CINDERELLA Complete Libretto Now Available For Pre-Order, Out September 16th! 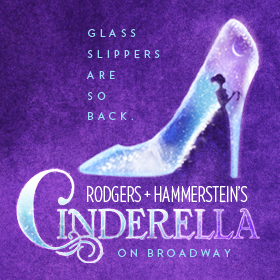 A complete collection of the libretto and lyrics for the current Broadway adaptation of Rodgers & Hammerstein's Cinderella, the celebrated family-friendly fairy tale musical, is now available to pre-order. In March 2013, a new Rodgers & Hammerstein musical opened on Broadway based on the TV musical first written nearly 60 years before and beloved by audiences all over the world. It was Rodgers & Hammerstein's Cinderella, which very quickly became the belle of the ball of the Broadway season, winning cheers for its fresh take on a timeless classic. Douglas Carter Beane created a new, Tony-nominated book that was hailed for complementing the inspirational themes of Rodgers & Hammerstein with a 21st-century sensibility, giving the musical new characters, surprising plot twists, and revelatory moments that hearkened back to the Charles Perrault version of the fairy tale. 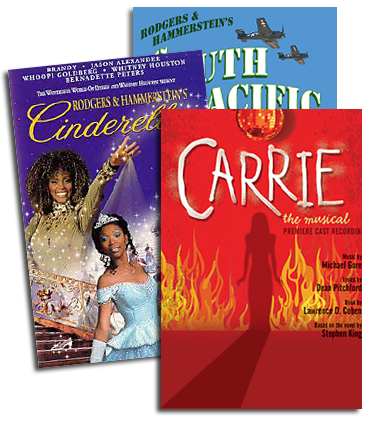 The new production incorporates rarely-heard songs from the Rodgers & Hammerstein catalog, including "Now Is the Time," "Me, Who Am I?" and "The Music in You." Also featured are standards from the original television version, including "In My Own Little Corner," "Impossible/It's Possible," "Ten Minutes Ago" and "Do I Love You Because You're Beautiful?" Rodgers & Hammerstein's Cinderella was hailed by the Associated Press as "a charming, witty and relevant take on the classic story" and cheered by New York Magazine as "a wised-up, wit-spackled CINDERELLA... as solidly entertaining as they come!" 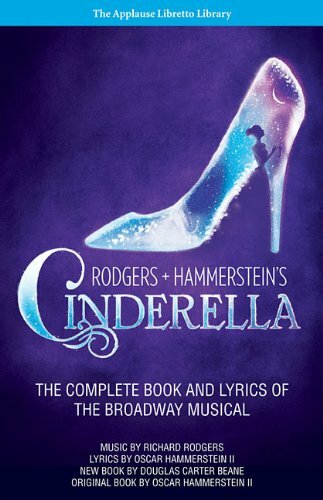 RODGERS & HAMMERSTEIN'S CINDERELLA: THE COMPLETE BOOK & LYRICS OF THE BROADWAY MUSICAL will be released on September 16, 2014. Pre-order RODGERS & HAMMERSTEIN'S CINDERELLA: THE COMPLETE BOOK & LYRICS OF THE BROADWAY MUSICAL on Amazon here.